we r having too much flys in our poultry breeding farm, how to control that ? 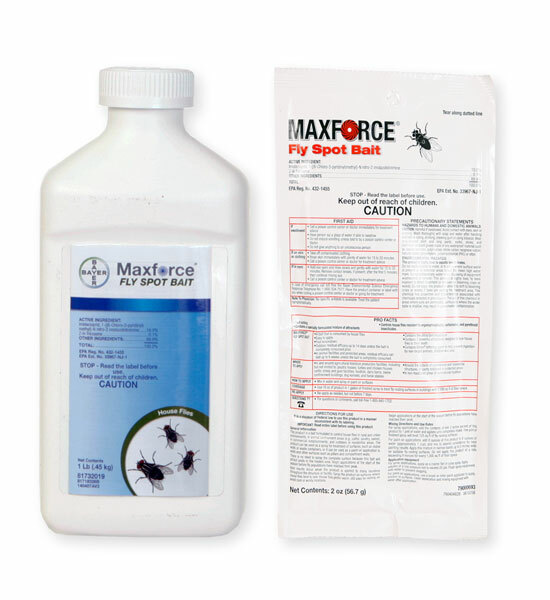 Maxforce fly spot bait is not recommended for use around poultry farms, due to the fact that it is best used as "scatter bait" and tossed onto the ground. If you were to use it at all, it would have to placed into a secure station off of the ground. The EZ Secure Fly Bait Station is designed for this purpose. Mount them to a fence and place them around the outer perimeter of the farm or fence area for best results. The Flies Be Gone Fly trap works well, as does the Advantage Fly Trap. These traps trap flies and help to reduce the populations. Fly Zappers can also work, but must be placed far away from the poultry house to trap and attract them away. If used indoors, in commercial facilities, they must be placed away from the breeding areas and only next to doors, etc. There are no chemicals that will stop the proliferation of breeding flies as long as there is adequate "manure" or other attractions for them. Proper sanitation is the only way to stop the breeding process, and traps or perimeter bait stations the only way to control the adults.